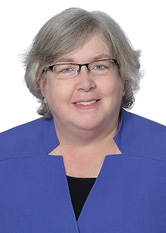 Carol A. Lafond focuses her practice on bankruptcy litigation and business reorganizations. She is experienced in litigating complex insurance and reinsurance disputes. Ms. Lafond has litigated matters involving factoring transactions, regulatory oversight of broker/dealers, wrongful termination claims, and product liability disputes. She currently represents the SIPA and chapter 7 trustees overseeing the liquidation and asset recovery proceedings of the consolidated estates of Bernard L. Madoff Investment Securities LLC and Bernard L. Madoff. Ms. Lafond is a Pro Bono Publico individual recipient for her work for individuals with disabilities and in support of abused children in terminating their parental rights. While attending Rutgers School of Law, Ms. Lafond was recipient of the Chief Justice Richard J. Hughes Prize in New Jersey Practice and she served as Editor in Chief of the Rutgers Law Review.